Jewish woman escapes from Arab husband in PA village on first day of Passover. 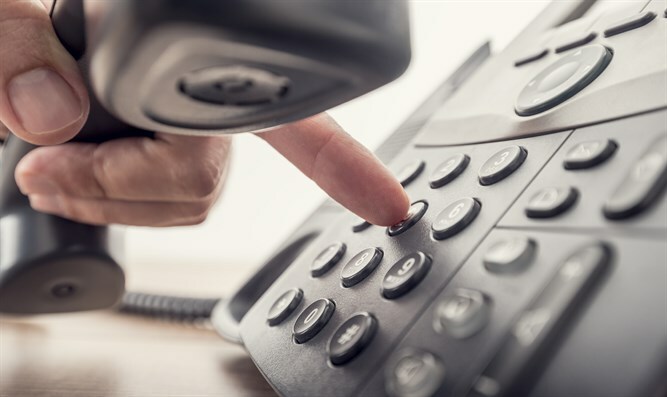 The phone that rang on the first day of Passover for the Yad L'Achim Emergency Hotline surprised the dedicated worker who had come to man it on the holiday, rather than be with her family. "This is me, Neta (pseudonym)," said the determined, frightened voice on the other end of the line. "I managed to escape this morning from my Arab husband. I took advantage of an opportunity and ran away with my two children without thinking twice and without updating you first." "We are now hiding behind the bus stop near the entrance to the village. Can you send a team to pick us up urgently and take us to your hiding place?" the woman asked the Yad L'Achim worker. It all began four years earlier. A secretary in a private office noticed that information provided by one of the clients contains an e-mail address with a distinctly Jewish name. Her suspicion arose and in the course of a conversation with the same person she understood that it was an email belonging to his Jewish wife. She quickly turned to Yad L'Achim and asked that they urgently contact the Jewish woman before the Arab husband returned home. A social worker of the association quickly dialed the home phone number and on the other side answered a young woman who identified herself as Neta. When she heard who was dialing and why, she was very surprised and revealed a life full of violence, sorrow and pain. "My husband, his parents, his brothers and sisters are constantly harassing me," she said, sobbing for a long time. Neta added that they live in Palestinian Authority-controlled territory and that she could not escape because she has already tried to do so in the past and has only experienced suffering as a result. It turns out that after the birth of their second child, she ran away from her husband. "This experience did not end well, and my husband discovered our hiding place and brought me home using severe violence." Neta also said that she is the mother of two children, a six-year-old and a two-year-old son, and that she is full of concern for the future of her children. Nevertheless, she agreed to give her cell phone number to the social worker of Yad L'Achim and a woman at a time when she could be spoken to the next day. The social worker dialed the next day and tried to check gently if it was possible to carry out a quick rescue operation without endangering the Jewish woman and her young children. Neta agreed to look into the possibility, but two days later she announced that due to her past experience, she was afraid of her husband. The social worker's attempts at persuasion were unsuccessful, and since then the number had become unavailable and the connection had been severed. Then, four years later and without warning, the phone rang at Yad L'Achim. Neta said that at the start of the Passover holiday, the Jewish spark lit up. The memories of the Passover Seder, the matzos, the wine, the Haggadah and the family atmosphere were in her mind and she decided to run away at any cost, no matter what. She also concluded that for her sake and for her children she had to flee before it was too late. In the early hours of the morning, when it was completely dark, she took advantage of the sudden departure of her husband from the village for urgent errands in Jenin, took her two children and, with just the clothes on her back, fled from the village. Upon exiting the village, she quickly dialed Yad L'Achim and updated them on her situation and location. An hour later, she and her children were already in the rescue vehicle on their way to one of the hiding apartments that are kept ready for such cases. On the seventh day of Passover, Yad L'Achim's legal team entered the picture in order to help with the battle over the custody of the children and the divorce process. The first hearing is scheduled for this week. "From this day on, every year I will know that Passover is also my personal holiday of freedom and that of my children," Neta said excitedly. She is currently accompanied by a social team of "Yad L'Achim" and a professional mentor is teaching her six-year-old daughter to begin her studies at an appropriate educational institution.